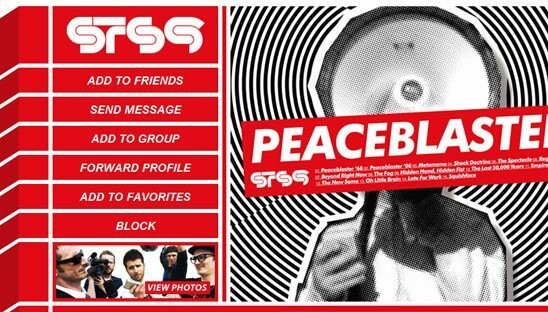 The client asked for an advanced myspace design based off the the New STS9 Peaceblaster CD art. After we designed this page for 1320 Records, they were so happy with it that we landed many more projects including STS9 blog website and 1320 myspace page. This layout has a fan “copy and paste” free layout and a wallpaper download, its part of our “FREE DOWNLOAD” add-on section.